Patriot Ordnance Factory POF-USA P-300 (also written P300) .300 Win. 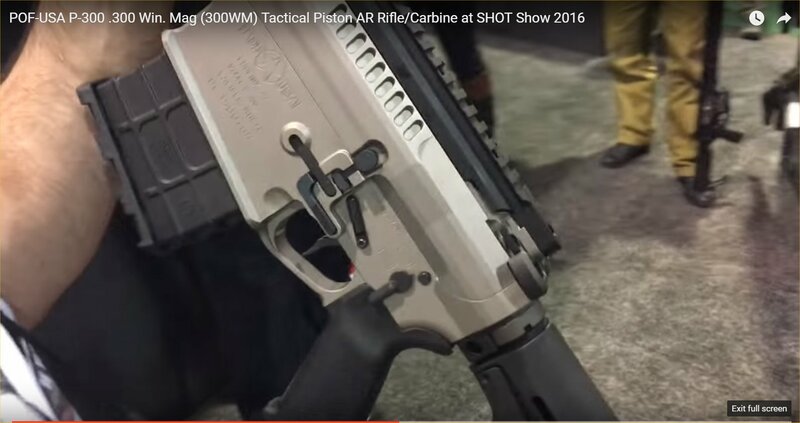 Mag (300WM) Tactical Piston AR Rifle/Carbine Debuts at SHOT Show 2016! (Video!) | DefenseReview.com (DR): An online tactical technology and military defense technology magazine with particular focus on the latest and greatest tactical firearms news (tactical gun news), tactical gear news and tactical shooting news. 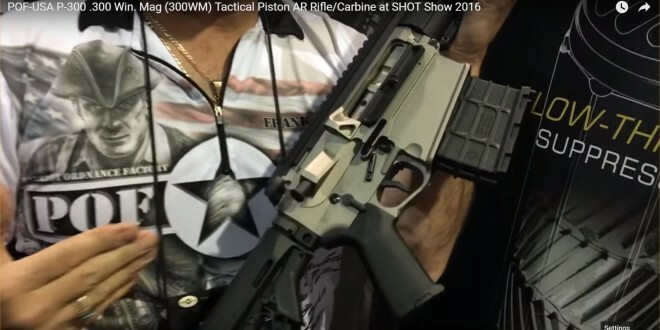 As long as we’re discussing the latest Patriot Ordnance Factory (POF-USA) rifles, DefenseReview (DR) should perhaps also mention that we got to view and handle the POF-USA P-300 (or, P300) .300 Win. 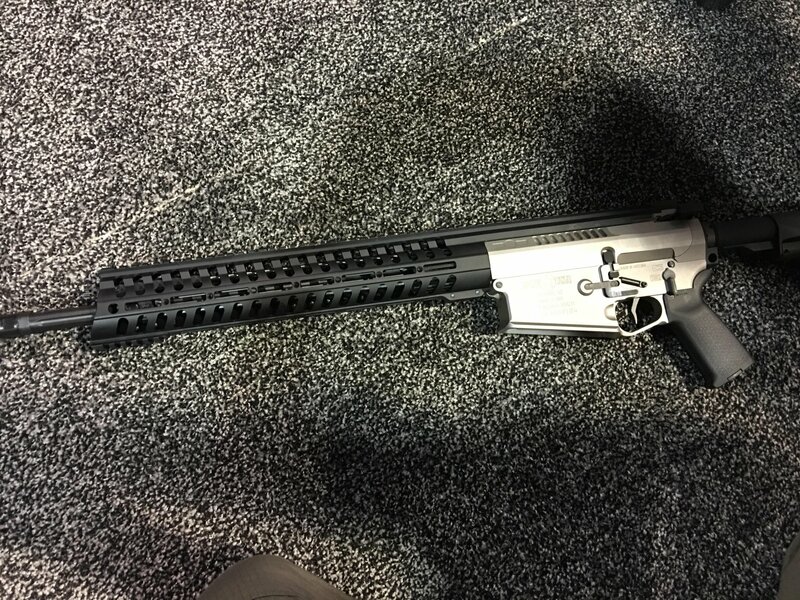 Mag (300WM) at the company’s booth at SHOT Show 2016. The P300 comes in a roughly the same size and weight as the POF-USA P-308, which is good timing, since the much smaller and lighter POF-USA Revolution very-small-frame 7.62mm NATO/.308 Win. 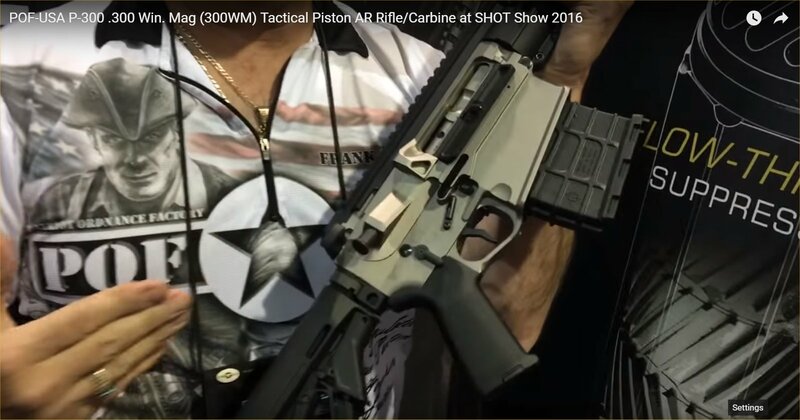 AR replace the P-308 legacy model very soon, according to POF-USA president/CEO Frank DeSomma. Now, if you want a large-receiver POF AR, why not just move up to to 300WM? 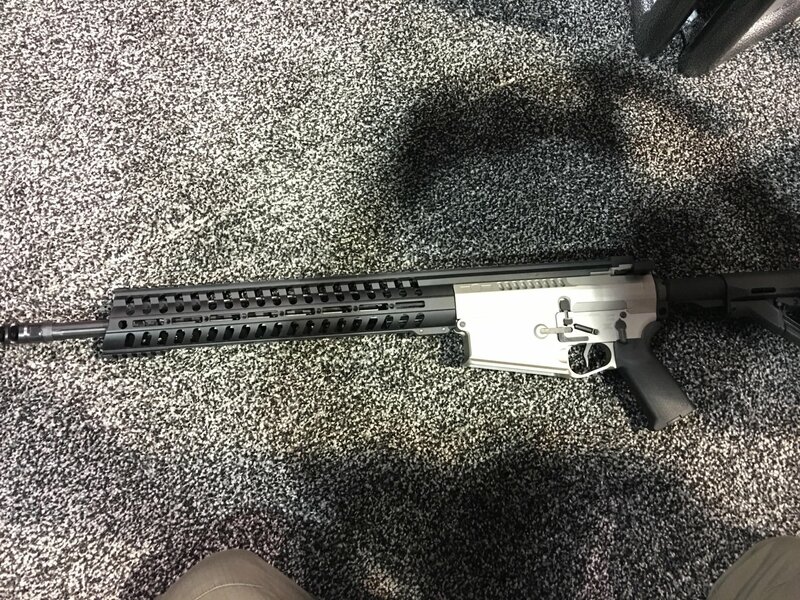 It’s DR’s understanding that the POF-USA P-300 currently utilizes a Nemo Arms polymer 300WM mag (rifle magazine), and will come with one of POF’s excellent rifle triggers, according to end-user preference. All P-300’s come with ambi-controls. DR would probably go with POF’s flat trigger for this one. Barrel length on the gun we handled was 18.5″. Anyway, Defense Review shot a quick video of Mr. DeSomma talking about the P-300 (see below), so check it out. Please also take a look at our first piece on the P-300, if you missed it. 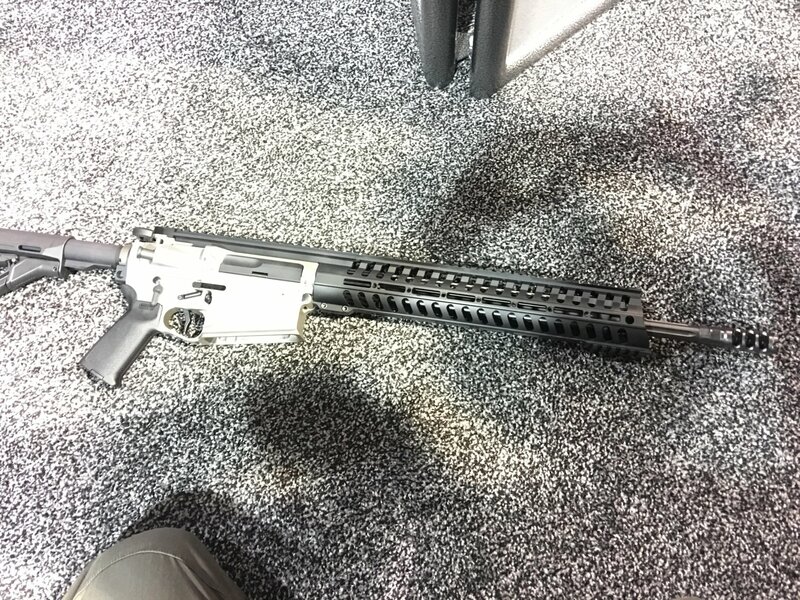 Next: Beck Defense .510 Beck Tactical AR Rifle/Carbine/SBR with Lancer Systems L12AWM Advanced Warfighter Magazine and ‘Controlled Chaos’ Hybrid and Nano/RDX Explosive Rounds!